Description: This dagger is typical of the type used by Bedouin nomads in Jordan/Israel/Palestine, and measures 9 7/8” overall with a 5 1/4” straight, asymmetric, double-edge blade with shallow center spine. The blade has been fairly roughly shaped and polished, with the reverse having an Arabic inscription. The “I” shaped hilt has decorated sheet metal on the outside surface augmented with wire wrap embellishments, as well as red and blue cabochons. 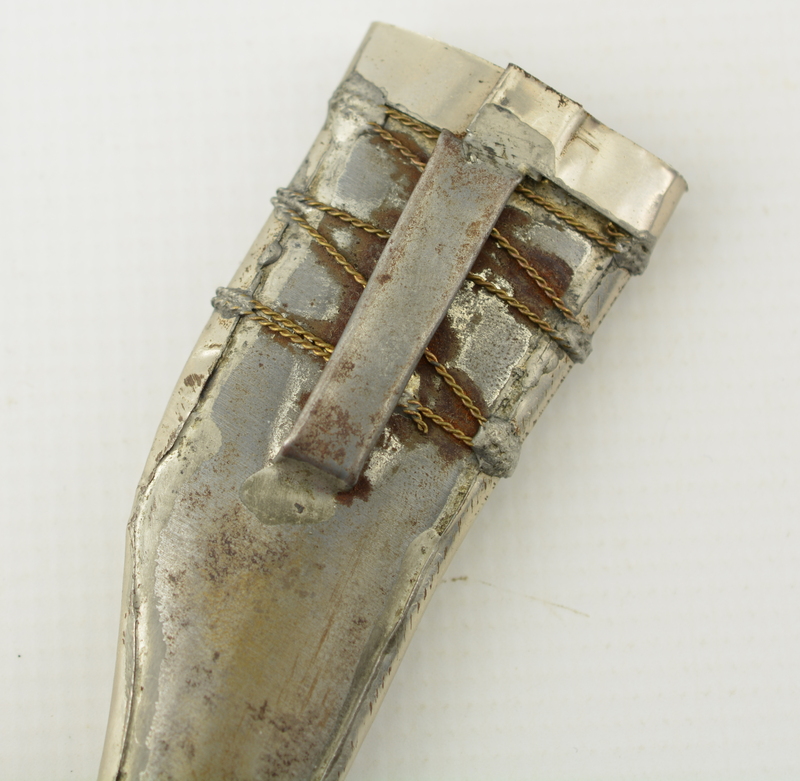 Large areas of solder are visible on the inside surfaces of both the pommel area, and scabbard. This is a neat Middle Eastern dagger, and is in very good condition overall.